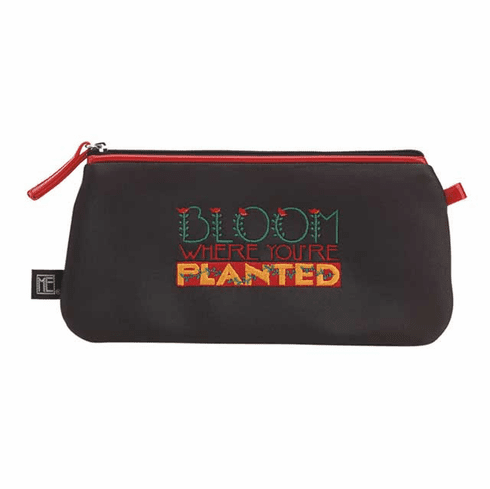 Mary Engelbreit bloom where you're planted toteable makes a perfect change or cosmetic bag. Mary E black twill quotable toteable is fully lined and features a zippered closure accented with red patent leather. Toteable mini purse Measures 8.5" x 4".